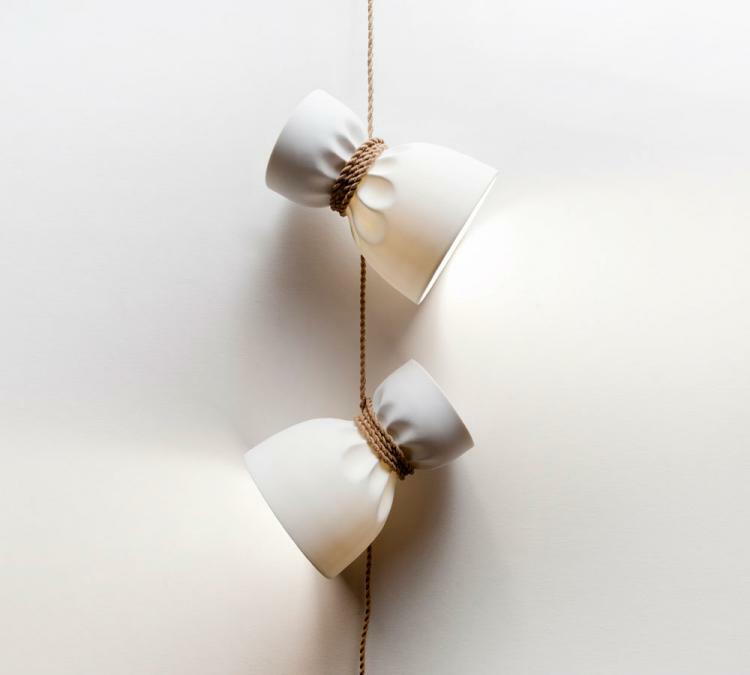 These really well designed pendant lamps are made to look like the rope that they were hung with are too tight, thus crumpling the lamp fixture. 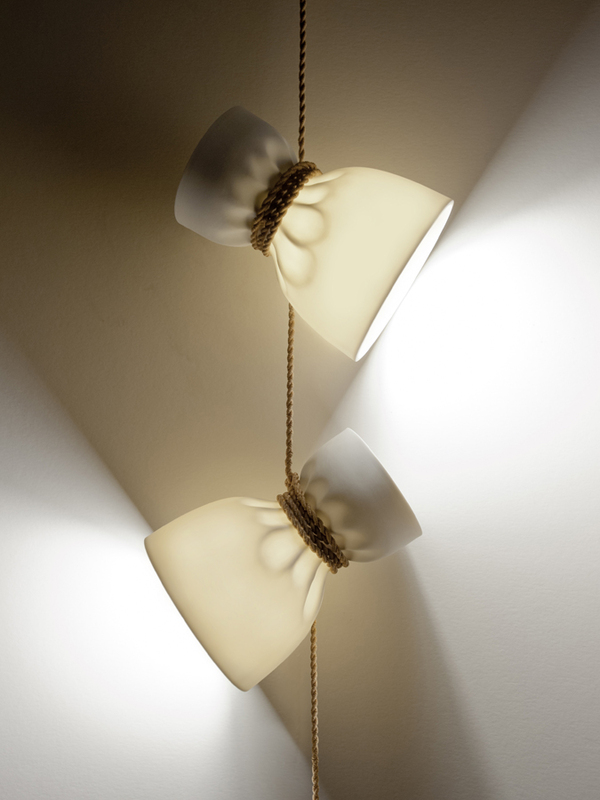 Somewhat resemblant of a white paper bag of sorts, the 'Applique Crease' lamps as they are called would certainly give any home a unique and modern look, and would most likely grab the attention of anyone in the room. 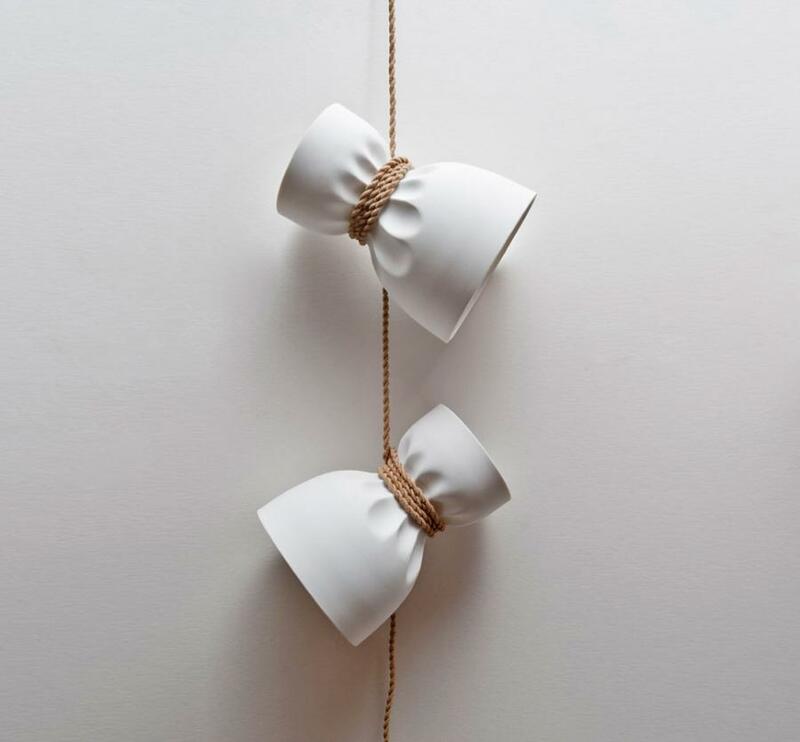 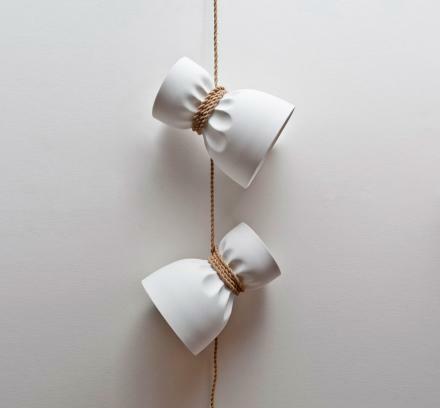 Designed by Simon Naouri, a designer from Paris, the crumpled paper pendant lamps are made from bisque porcelain along with a braided rope to hang them up, and in total including the rope the lamp measures 4 feet long x 1 foot wide. 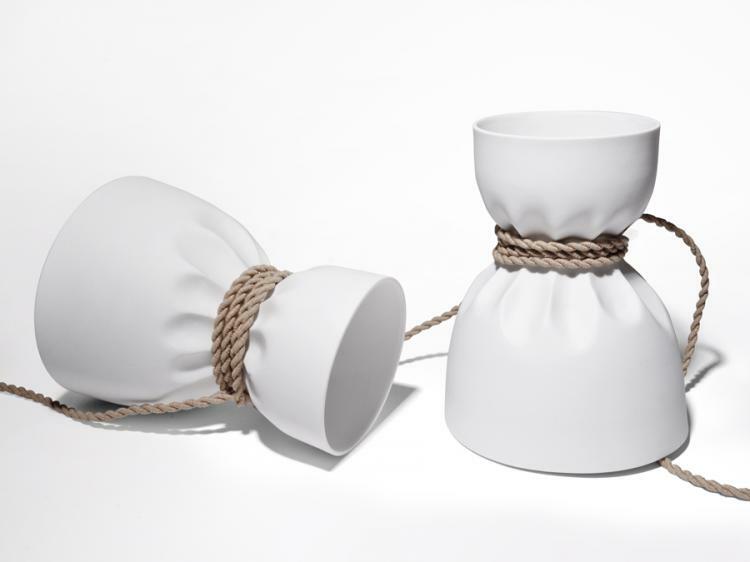 These beautifully designed pendant lamps made to look like their rope is too tight are unfortunately just a concept for now, but hopefully someday come to fruition.